Elegance in form and function is the hallmark of the best backgammon accessories. Eliminate the hassle of fumbling with the doubling cube by adding this gem. A series of arrows points to the next important double. Each successive number comes up facing the correct direction for the opponent. Every time. 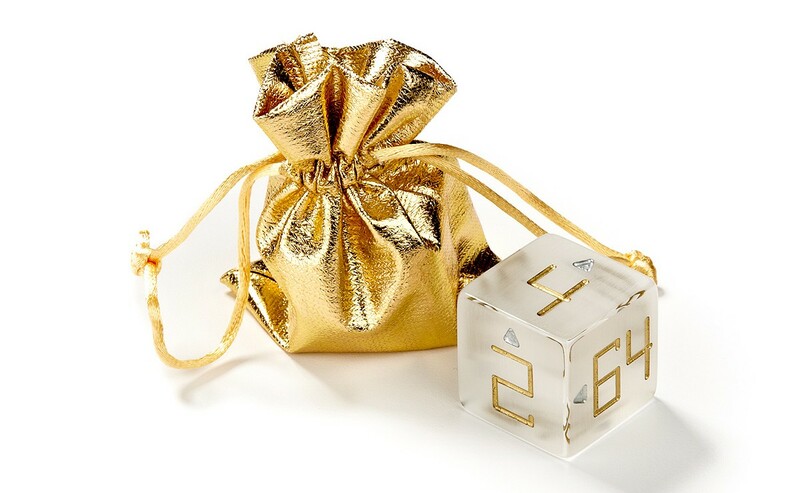 Gold numbers with silver accents are deeply engraved into the frosted transparent acrylic cube. Your game never looked so good or played so smoothly. 1 1/4" or 1 1/2" or 2"